Dr. Bunny Vreeland’s Podcasts focus on the importance of rapport and listening skills. Her guests discuss how building rapport and listening skills are vital to their business, as well as their family relationships. Dr. Bunny Vreeland talks with sales, marketing, advertising, and PR practitioner Peter Godinez, about listening skills and building rapport. Peter has been proclaimed a “social media sales hero” in the business community. He is now the “Face of Xerox Corporation” and the Xerox Ambassador in the tri-counties of California. Contact Peter at (805) 340-4676 and visit: SoCal-Xerox.com Click HERE to listen! Dr. Bunny Vreeland talks with Grants To You Program Coordinator Elaine Aldrete and Writer, Producer, TV Host and Journalist Maryann Ridini Spencer, about the importance of developing listening skills and building rapport in their careers. Contact Elaine Aldrete at (805) 990-2392 and visit: Grantstoyou.org. Contact Maryann Ridini Spencer at (818) 884-0104 and visit: RidiniEntertainment.com and SimplyDeliciousLiving.TV Click HERE to listen! Dr. Bunny Vreeland talks with Certified Women’s Money Coach Neil Palache about the importance of developing listening skills and building rapport in his business of money coaching and wealth creation. Contact Neil at (818) 606-7327 and by email at Neil@thewealthcreatorcompany.com. Also visit: thewealthcreatorcompany.com Click HERE to listen! Dr. Bunny Vreeland talks with Sherry Dunlap, Marketing & Sales for John Derr State Farm Insurance, about the importance of developing listening skills and building rapport in her personal and professional life. Contact Sherry at (805) 988-8895 or email: sherry@derrinsurance.com Also visit: www.derrinsurance.com Click HERE to listen! Dr. Bunny Vreeland talks with Grants to You Program Coordinator Elaine Aldrete about the importance of developing listening skills and building rapport. Contact Elaine at (805) 990-2392. Also visit: Grantstoyou.org Click HERE to listen! Dr. Bunny Vreeland talks with award-winning writer/producer, marketing expert and TV host and journalist, Maryann Ridini Spencer, (The Lost Valentine, Simply Delicious Living with Maryann), about how building positive rapport has enhanced her career. For more information on Maryann, Visit: RidiniEntertainment.com and watch Maryann’s TV show, “Simply Delicious Living with Maryann.” Visit: SimplyDeliciousLiving.TV Click HERE to listen! Dr. Bunny Vreeland talks with Lifestyle Artist Michelle Corbin about developing listening skills and building rapport. Contact Michelle at (805) 258-9087 or email: lifestyleartistry@yahoo.com. Also Visit: http://www.lifestyleartistry.net Click HERE to listen! Dr. Bunny Vreeland talks with Printer and Author James Francis Gray about the role of developing listening skills and building rapport. Contact James at info@kaliisyourcodename.com Visit: http://kaliisyourcodename.com/ Click HERE to listen! Dr. Bunny Vreeland talks with Business and Non-profit Community Worker Paul Baksin about the role of developing listening skills and building rapport. Contact Paul at (805) 419-4599 or email: info@jobsearchjobfindobget.com. Also, visit the websites: www.Jobsearchjobfindjobget.blog.com and www.Grantstoyou.org. Click HERE to listen! Dr. Bunny Vreeland talks with Communications and Connections Coach Esther Adler about the role of developing listening skills and building rapport. Contact Esther at (805) 764-5672 or email: estheradler@estheradlercom. Visit: www.ExperienceTheBreakthrough.com and www.EstherAdler.com. Click HERE to listen! Dr. Bunny Vreeland talks to Freeman Michaels about the importance of listening skills in his practice as a Transformational Coach. Contact Freeman by email at: Freeman@ServiceToSelf.com. Also visit: www.ServicetoSelf.com Click HERE to listen! Dr. Bunny Vreeland talks to Maria Emma Willis (author of Midlife Crisis Begins in Kindergarten and Discover Your Child’s Learning Style and co-founder of LearningSuccess™ Institute and Power of You Now! Seminars) about the role of developing listening skills and building rapport. Contact Maria Emma at (805) 648-1739 or email: m@mariaemmawillis.com. Maria Emma’s website: mariaemmawillis.com Click HERE to listen! Dr. Bunny Vreeland talks toThe Fresh Food Chef Suzanne Landry about the role of developing listening skills and building rapport in her profession. Contact Suzanne at (805) 628-3301 or email: Suzanne@thefreshfoodchef.com. Visit Suzanne’s website: TheFreshFoodChef.com Click HERE to listen! Dr. Bunny Vreeland talks to Attorney Roy Schneider with Schneiders & Associates, LLP about the importance of developing listening skills and rapport with his clients. Schneiders and Associates, LLP are experts in handling business law, employment law, bankruptcy, estate planning, commercial and residential real estate, intellectual property, non-profit and municipal and civil litigation. Visit: RSTLegal.com. Contact Roy at (805) 764-6370. Click HERE to listen! Dr. Bunny Vreeland talks to Disability Consultant, Motivational Speaker and Writer Carol Leish, MA, about the importance of developing listening skills and rapport in her work as well as her personal life. Visit Carol’s website at: CallMeCapable.com. Contact Carol at (805) 998-6160 or by email: carol@callmecapable.com. Click HERE to listen! Dr. Bunny Vreeland talks with Realtor Bob Taylor about the importance of developing listening skills and rapport in his work as a real estate agent. Visit Bob’s website at: PremierOptions.net. Contact Bob at (805) 312-6695. Click HERE to listen! Dr. Bunny Vreeland talks with Certified Professional Coach Coach Gloria Miele about how developing listening skills and rapport has impacted her work. Visit Gloria’s website at: OptimalDevelopmentCoaching.com. Contact Gloria at (805) 482-1625. Click HERE to listen! to hear Dr. Bunny Vreeland talks with Communication Specialist Camille Harris about how developing listening skills and rapport has impacted her life and career. Visit: CamilleHarris.com Contact Camille at (805) 901-8188 or by email: Camille@CamilleHarris.com. CLICK HERE to listen! Dr. Bunny Vreeland talks with the Founder of Sheeler Moving and Storage, Inc.’s Mel Sheeler, about the importance of developing listening skills and rapport for success in business. Mel also discusses his extensive community involvement. Visit: www.Sheelermoving.com. Contact Mel at (805) 658-1943 or Toll Free (866) 589-6683. Click HERE to listen! Dr. Bunny Vreeland talks to Personal Assistant Debbie Schooler about the importance of developing listening skills and building rapport with her clients. Reach Debbie at (805) 302-4553 or by email at: Mocker4@gmail.com. Click HERE to listen! Dr. Bunny Vreeland talks to Your Car Angel, Greg Macke, about how listening skills and building rapport with clients has been the basis for his business growth. Reach Greg at (805) 407-5133 or by email at: greg@yourcarangel.com and visit his website at: yourcarangel.com. Click HERE to listen! Dr. Bunny Vreeland talks to Aesthetic RN Wendy Bowers about the importance of developing listening skills and rapport with clients coming in for treatments at A Fresh Face, Inc. Medical Spa located in the Voice Board Building at the Camarillo Airport and Business Park, 473 Post Sreet, Ste. 5, in Camarillo, CA. 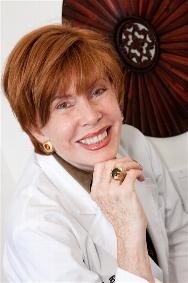 Visit: AFreshFaceInc.com and contact Wendy at (805)482-0503. You can also email Wendy at: afreshfaceinc@yahoo.com. Click HERE to listen!